Mold is more than just a nuisance. It can damage and discolor your property and present serious health hazards. ServiceMaster by Gadonniex will eliminate your mold infestation with speed, expertise, and efficiency. We understand the importance of removing mold from your property, which is why we are on call 24 hours a day, 7 days a week. A mold infestation can develop very quickly given the right conditions. Mold only needs an area with high humidity, a dark environment, and a food source. 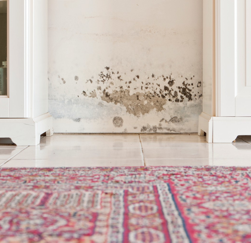 Many mold infestations are caused by a form of water damage and can happen if there is a leak under the flooring, behind a wall, or in the ceiling. Effectively eliminating mold is more than simply wiping away mold growth with an all-purpose cleaner. This method only agitates the mold and causes mold spores to be released in the air causing new growth in other areas. 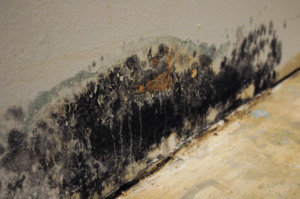 Mold does not only damage structures, it also presents serious health risks. Prolonged mold exposure can endanger the health of adults, children, and pets causing breathing difficulty, allergic reactions, and even illness. We assess the mold infestation and create a custom plan of attack. Next, we quarantine off the mold and clean the infected area. Our technicians are trained and certified with proprietary cleaning techniques. We use safe and powerful cleaning agents to eliminate mold directly at the source. For expert mold remediation services, call ServiceMaster by Gadonniex. We will eliminate any mold infestation in your home or business. We specialize in disaster restoration services in Dutchess, Ulster and Putnam counties and will thoroughly cleanup mold infestations to restore your property back to normal.